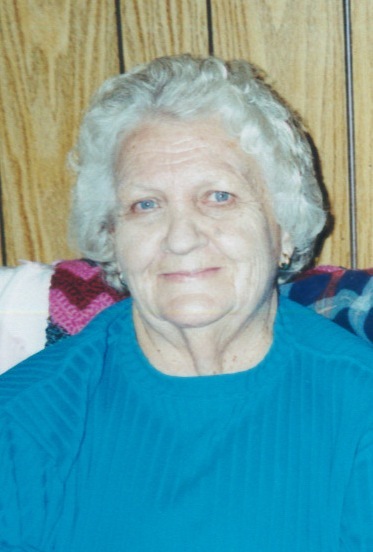 Mrs. Mamie Allyene Wright of Campbellsville, daughter of the late Will and Cora (Mardis) Bright, passed from this life on Wednesday, March 20, 2019 at the Taylor Regional Hospital. Born on March 7, 1930, she was 89 years and 13 days of age. She had made a profession of faith in Christ and was a member of Pleasant Hill Baptist Church. Mrs. Wright was a homemaker, and enjoyed raising a garden and potting plants, and fished as often as possible. She united in marriage to Arthur Goff, who preceded her in death in 1988. Later, she united in marriage to Garland Wright, who survives. And a host of other nieces, nephews, cousins, and friends. She was also preceded in death by eight siblings: Rene Mardis, Linus Bright, Mildred Colvin, Howard Bright, David Bright, Margaret Bright, and two siblings in infancy. There will be a funeral service to honor the life of Mrs. Wright on Sunday, March 24, 2019 at 4:00 PM in the chapel of the L.R. Petty Funeral Home, Campbellsville, KY. Interment will follow in the Brookside Cemetery, W Main St, Campbellsville, KY. The family will receive friends at the funeral home on Sunday, Mar. 24, from 12:30 PM until time for the service. In lieu of flowers, please consider memorials in the form of donations to the funeral expenses. Those can be made in person at the funeral home, or online anytime through the “How Can I Help” tab on the front page of this site.